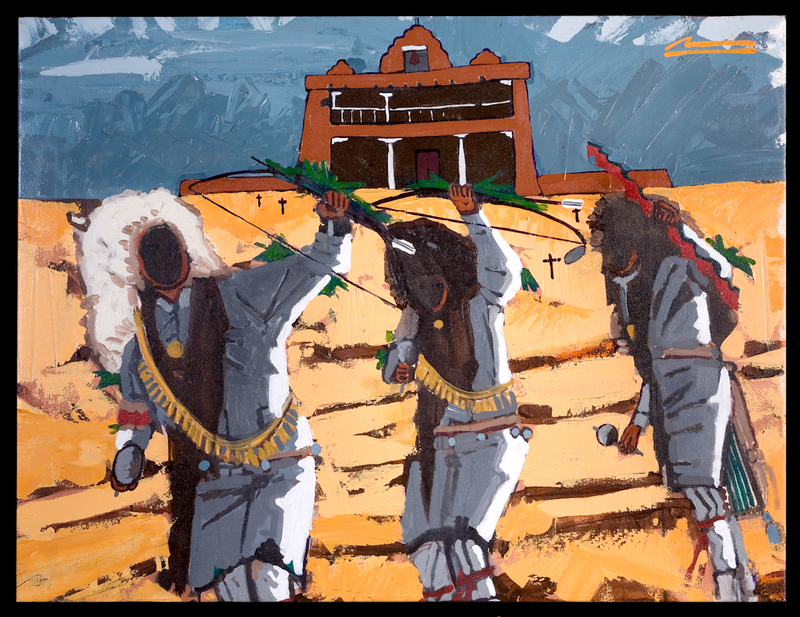 In the painting's foreground, a faceless Native dancer transforms into a Buffalo Dancer, performing a traditional ceremonial dance. By placing a Spanish Colonial Mission church in the background, Romero underscores the tension of multiple identities in contemporary Indian life. The Spanish built these churches across the American Southwest, aiming to convert Native peoples to Christianity.